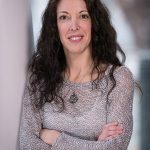 WHYY’s Robin Bloom on what not to miss this week in the Philadelphia region. 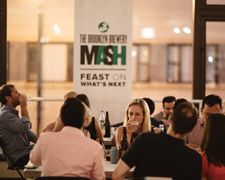 The Brooklyn Brewery Philly Mash Tour is a cultural festival that explores communities in cities around the world through food, music, art and beer. After touring Europe, the festival arrives in Philadelphia from August 25-28 – the first of six U.S. cities – with events such as a one night only meal at Bing Bing Dim Sum paired with some of Brooklyn’s rarest beers, a free concert at Union Transfer with Twin Peaks, “Beer Mansion,” at Mount Pleasant Mansion, and a Fishtown and Northern Liberties Neighborhood Immersion. 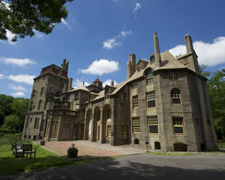 For more brewing, visit the Fonthill Castle Beer Fest, Saturday, August 27, 2pm-5pm, for a sampling of drafts from 25+ local and regional breweries, along with live music, food, and a commemorative beer tasting glass, East Court Street and Route 313, Doylestown, PA.
Head to Camden Children’s Garden for the “Music Feeds Me” Concert Series and Blues Junior, Thursday, August 25, 7:30pm (doors open at 6pm). Bring chairs! Enjoy the Chocolate and Vanilla Festival, Saturday and Sunday, August 27-28, 1pm-4pm, celebrating two of nature’s most flavorful plants. Vote for your favorite ice cream flavor, take a tropical smell test, enjoy crafts, educational activities, chocolate and vanilla treats, and more, 3 Riverside Drive, Camden, NJ. 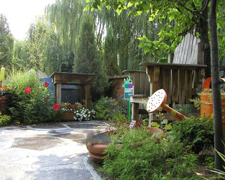 Photo courtesy of Camden’s Children’s Garden. The 2nd Annual Philadelphia Country Music Festival returns Saturday, August 27, 12:30pm, with an indoor and outdoor stage at Connie’s Ric-Rac, 1132 S. 9th Street, in the heart of Philadelphia’s Italian Market. 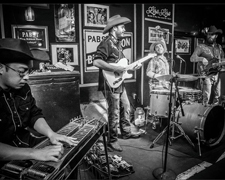 Hosted by the Wallace Brothers Band (pictured), the lineup includes John Train, Minka, Hannah Taylor and the Rekardo Lee Trio, and more. 9th Street will be closed between Washington Avenue and Ellsworth Street. Free and open to the public. Photo by Lisa Schaffer. 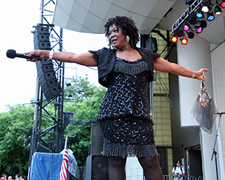 The Jersey Shore Jazz and Blues Festival returns on Saturday, August 27, 12pm-9:30pm, with crafts, vendors, food, children’s activities, and six bands performing on the music stage, including Jan Findlay, Dana Gaynor Band, Audrey Silver Quartet, Geoff Achison and The Soul Diggers, Joe Benjamin and A Mighty Handful, and Trudy Lynn Blues Review (pictured), on the Great Lawn at the Promenade, Boardwalk at Cooper Avenue, Long Branch, New Jersey. Free, rain or shine. Bring lawn chairs! 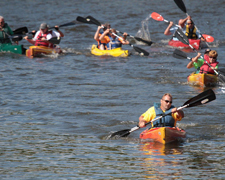 The annual Cohansey Riverfest & Bridgeton Crabfest, celebrating the natural and cultural ecology of Cumberland County, New Jersey, features kayaking, artist competitions, food and craft vendors, live music and more, on Saturday, August 27, beginning at 10am, at the East Commerce Street riverfront, Bridgeton, NJ. Free admission. Cost of activities vary. The Land Conservancy for Southern Chester County works to ensure the perpetual preservation and stewardship of open space, natural resources, historic sites, and working agricultural lands throughout Southern Chester County. 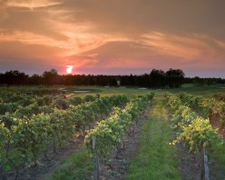 TLC is hosting Brandywine in White, a pop up summer evening at a special, undisclosed location in the Brandywine Valley/Wilmington area, to be announced 48 hours in advance to those who have registered (registration is by noon on August 25). The event is rain or shine and plenty of parking is available. On Saturday, August 27, dress in all white and bring a picnic dinner to set up at 5:30pm. Dinner and music begins at 6:30pm. Tables and chairs will be provided and set according to the number of people in your party. 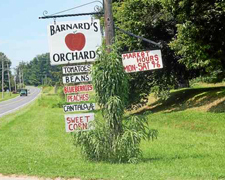 TLC is currently working to conserve Barnard’s Orchard (pictured), a fourth generation family farm, circa 1862, in Kennett Square, Pennsylvania. 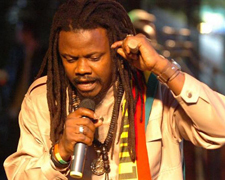 Get a taste of the cuisines of the Caribbean at the Philadelphia Jerk Festival, Sunday, August 28, 12pm-6pm, with music by Luciano (pictured), Assassin, Leadpipe and Saddis, plus vendors, family activities, and more, Chamounix Drive, Fairmount Park. Stomp grapes at Renault Winery, one of the oldest continuously operating wineries in the United States. The Grapestomping Festival takes place Sunday, August 28, 12pm, with vendors, crafts, snacks, children’s activities, and more, 72 North Bremen Ave, Egg Harbor City, NJ. While there, take a tour or play golf on the 18-hole championship golf course. King of Prussia celebrates diverse cultures and traditions with the 2nd annual Festival of People, Sunday, August 28, 10am-7pm. 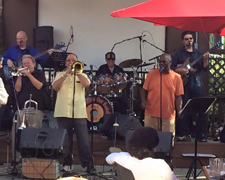 Expect live music by Lou Rinaldi, Rodney Bradley and Friends, All SOULed Out (pictured), and more, plus art, vendors, children’s activities, King of Prussia’s Got Talent, and more, Upper Merion Township Park, 175 W. Valley Forge Road, King of Prussia, PA. 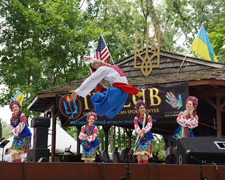 The 25th annual Ukrainian Folk Festival celebrates Ukraine’s independence with ethnic dance, polka music, traditional food, crafts, children’s activities and more, including performances by the Voloshky Ukrainian Dance Ensemble, Iskra Ukrainian Dance Company, violinist Innesa Tymochko Dekajlo, the Vox Ethnica Band, and more, Sunday, August 28, 12pm-8pm, at Tryzub, the Ukrainian American Sport Center, County Line & Lower State Roads, Horsham, PA. Photo courtesy of Tryzub. 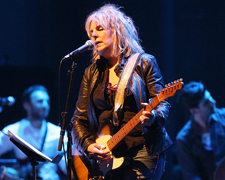 Catch Grammy award-winning singer Lucinda Williams and her alternative country-rock-blues-folk sound, performing songs from her new blues album as well as old favorites at the Music Pier in Ocean City, New Jersey, Monday, August 29, 7:30pm, Moorlyn Terrace and the Boardwalk. Photo by AP/Rich Fury. 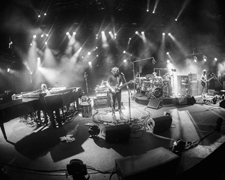 LOCKN’ Festival features headliner Phish (pictured), Ween, My Morning Jacket, Umphrey’s McGee, Twiddle, Tedeschi Trucks Band, Lettuce, Galactic, Keller’s Grateful Grass/Gospel, Brandi Carlile, and more, August 25-28, nestled in the Blue Ridge Mountains in Arrington, Virginia. Photo by Rene Huemer. On display at Locks Gallery is When You Wish, an exhibit by Sarah McEneaney, through October 8. 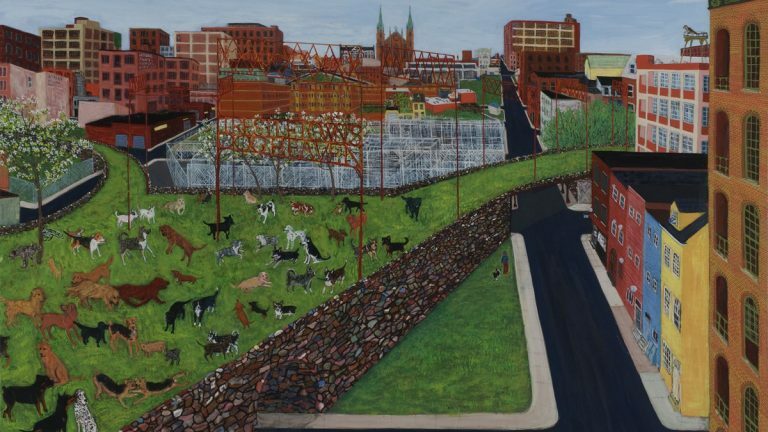 20 new acrylic paintings depict the shifting cityscape as seen from the artist’s surroundings as well as portraits of her home and studio in Philadelphia. Accompanied by a publication, 600 Washington Square South, Philadelphia. 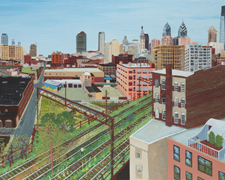 Pictured: “Trestletown,” 10th and Hamilton 10th Floor, 2012, acrylic on linen, 36 x 48 inches. Each week, the Entertainment Guide spotlights interesting local arts offerings happening now, including music, dance, theater, museums, special exhibitions and other arts events from across the region.